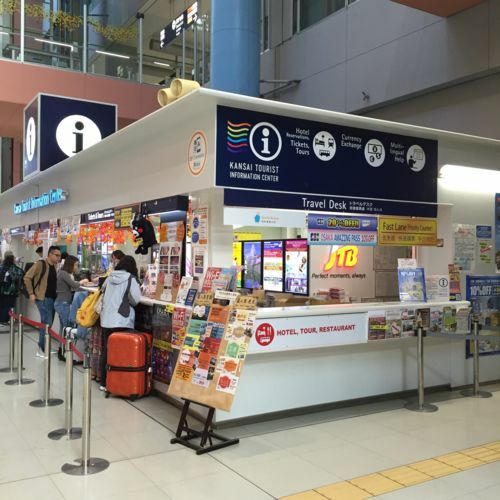 Q: How can I get to Osaka from Kansai International Airport? 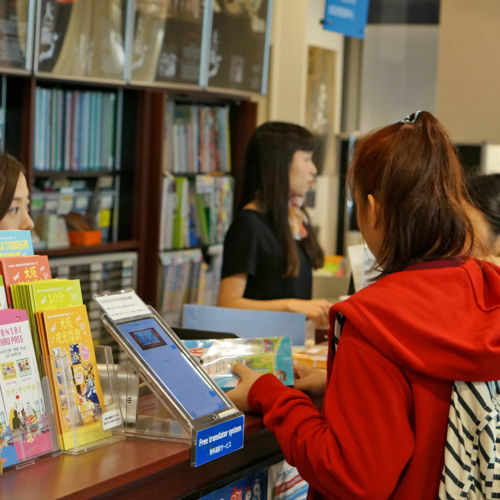 A: There are two convenient train services (the JR Kansai Airport Rapid Express and the Nankai Railway) as well as comfortable shuttle buses that link the airport to central Osaka. The trip requires between 40 and 60 minutes, depending on what type of train you take or traffic conditions. Q: What is the best way to get to Osaka from Tokyo? A: The Shinkansen bullet train is the quickest and most convenient way. A one-way ride on the fastest express takes only two-and-a-half hours. Japan Airlines (JAL), All Nippon Airlines (ANA) and other domestic airlines fly between Tokyo's two airports (Narita and Haneda) and the two airports that serve Osaka. When booking a flight to Osaka, try and get one that lands at Osaka (Itami) International Airport. This is Osaka's domestic airport, which is closer to the city center than Kansai International Airport. 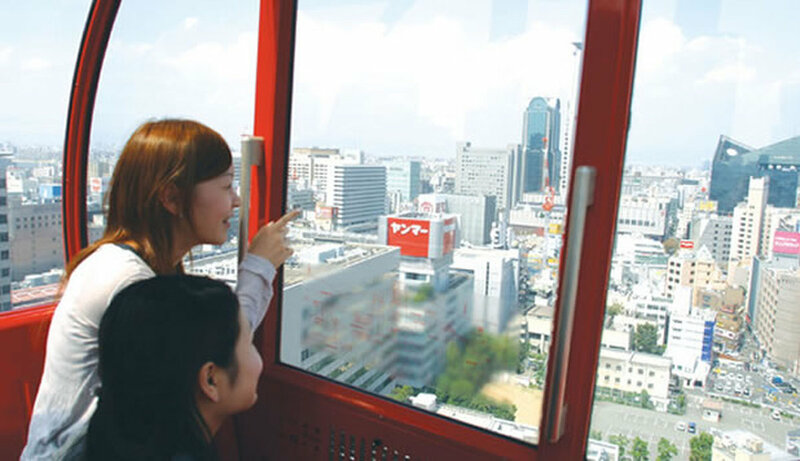 From Itami Airport, it takes about 30 minutes by monorail and train or shuttle bus to reach Osaka's city center. 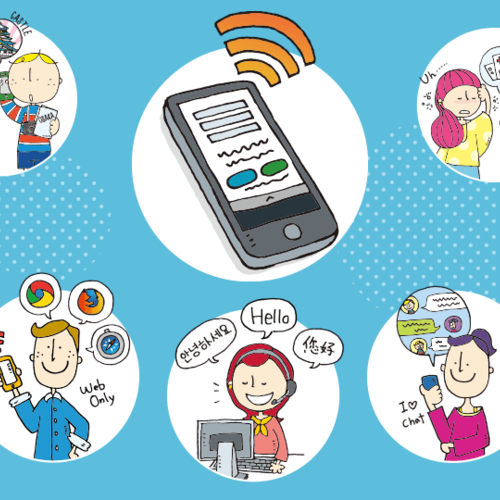 Q: Where can I get information in English on sightseeing and hotels? 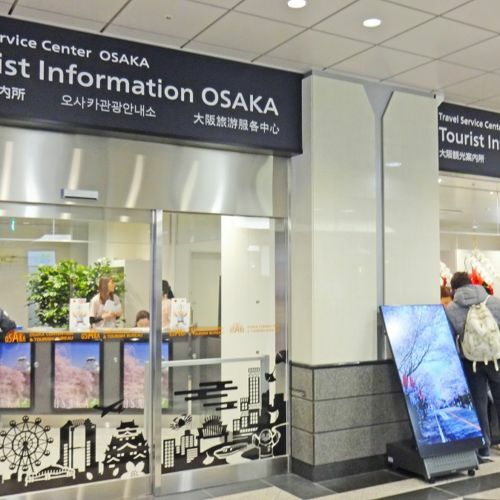 A: The Osaka Convention & Tourism Bureau operates 2 visitors' information centers. 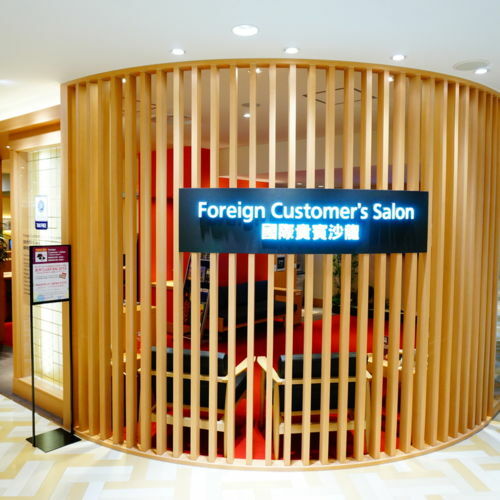 Located in Umeda and Namba, they have English-speaking staff on duty at all times. Q: What kinds of accommodations are there in Osaka? A: There is a wide variety of accommodation types and styles to fit all tastes and budgets. Western-style lodgings range from five-star luxury hotels to business class hotels. Anyone who wants to try Japanese-style accommodations can try one of Osaka's ryokan inns or a simple, inexpensive guest house. Q: I will only be in Osaka for a short visit. What must I see? A: To learn about everyday Osaka on your first visit, you shouldn't miss Osaka Castle and the nearby Osaka Municipal Museum of History. The Dotombori Area offers the best in dining and entertainment, and is only a short walk from the Namba and Shinsaibashi areas. Q: Is it safe to carry cash in Osaka? A: It is generally safe to carry cash because Japan has one of the lowest crime rates in the world. Major credits cards (American Express, VISA, and MasterCard) are accepted at most restaurants, hotels and large stores in the metropolitan area. However, smaller shops and stores in urban areas may only accept cash. With the exception of major hotels and banks authorized to exchange foreign currency, travelers checks may not be accepted by most merchants. Q: What type of clothing should I bring? Are the weather and climate very distinctive? A: Short-sleeves and light clothing are suggested for summers in Osaka, which are very hot and humid and said to be warmer than Tokyo. But be sure to bring a warm coat during February, the coldest month of the year. Streets may ice over in February. And a raincoat and umbrella are a must during the rainy season, which starts in early June and ends in late July. The period is subject to continuous rain. Q: Where can I find a listing of concerts, exhibits and events and buy tickets? A: Osaka Guide is a bi-monthly guide in English with listings of festivals, events, concerts, exhibits, suggested tourist spots, maps and useful contact numbers. Pick up a copy at any visitors' information center. Kansai Scene, a monthly magazines in English, also contains many listings. Q: Are there any flea markets in Osaka? A: Shitennoji Temple hosts a huge outdoor flea market on the 21st and 22nd days of each month. Dedicated shoppers flock there early in the day, so we recommend early visits. Smaller flea markets are held on Sundays in Nanko, near Cosmo Square Station, and other locations. A: Osaka city has a regulation on smoking outside. Smoking on the streets and footpaths in "Non-Smoking Zones " is punishable by a 1,000 yen fine. Please try to avoid smoking in a manner that endangers or disturbs others. Q: I'm bringing a child to Osaka. Where can I go for a family outing? 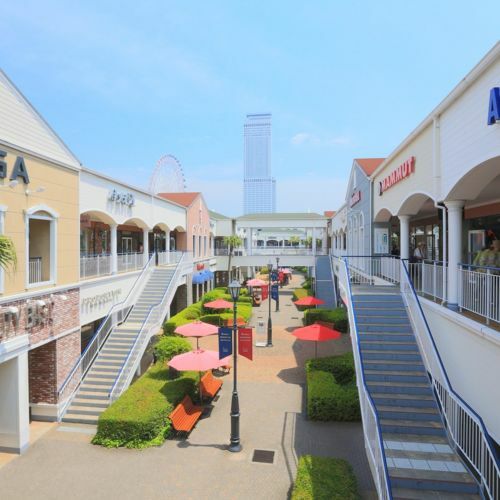 A: Universal Studios Japan and the Osaka Aquarium "Kaiyukan" are the places to take the kids. Kids Plaza Osaka in the Kansai Television offices in Kita-ku's Ogimachi is also packed with local families on weekends, and is a perfect small theme park for children to learn and play at.